Amazon, originally known as a book seller, has become an all-around retail super store with a growing list of its own electronics. Sales are not infrequent as the company tries to push its devices, in many cases selling them at a loss with plans to make up the money once the customer is ensconced in the ecosystem. It's a plan that seems to pay off. Now, if you're looking for that special gift for Valentine's Day, which fast approaches, Amazon is holding yet another of these sales. Discounts are available on many of the products produced by the company. 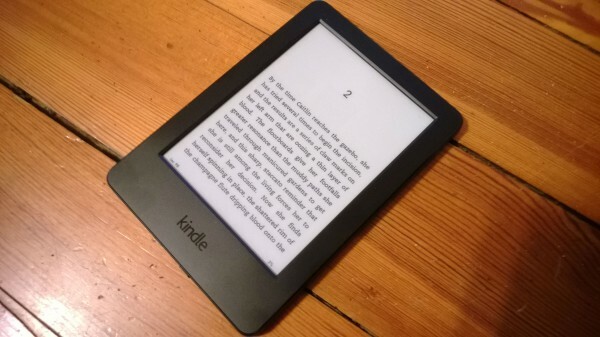 The Kindle, regularly priced at $79 is discounted to $59, or you can grab the higher-end Paperwhite model for $99, regularly $119. Tablets have also seen price slashes -- Fire HD 6 takes off $15, dropping it to $84, while the Fire HD 7 goes from $139 to $114. If you have kids then the children's versions of the 6 and 7 are also seeing a price cut -- now $134 and $164 respectively. Granted, this may not seem the most romantic of Valentine's Day gifts, but on the other hand, you may have someone in your life who wishes for one of these products. It's also a gift that, unlike a dinner out, will benefit the recipient all year long. And if you're alone this holiday there's nothing to stop you from giving yourself a gift.